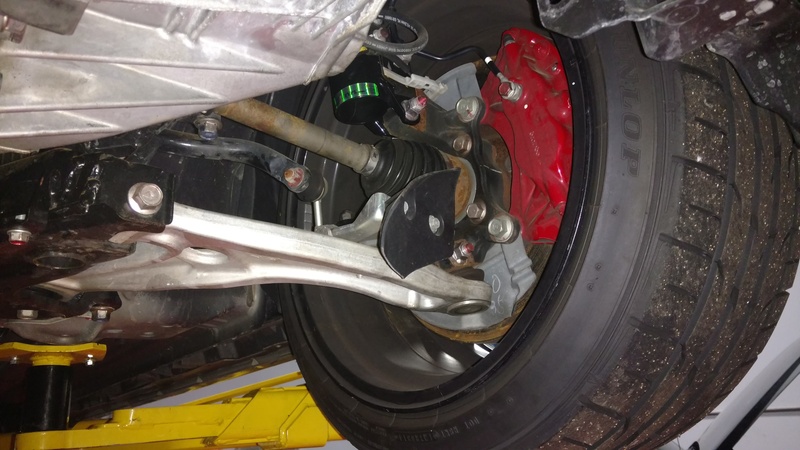 Hello everyone I'm new to the forum and just had a couple questions regarding what road course FC drivers are using for a brake setup. I have done a little searching in the archives and found a debate between quality slotted rotors vs cheap blanks and bunch of different brake pads. Right now I'm leaning towards running blank rotors front and rear with Hawk Blue pads and stainless lines. Car is a 87 TII so I have 4 piston fronts. My plan is to start with a more basic setup and depending on pedal feel/fade maybe go for a Wilwood or AP BBK front kit. Car is fresh from the tuner with 373whp and full interior weight (soon to change). Looking for full track and maybe very little street driving. Thanks for any input you have!!! If anyone is interested Iv'e been running NASA's NE events with my bone stock 97'MX-5 just trying to acquire driving fundamentals. I currently run HP+ pads with blank rotors and stainless lines on that. < notes for comparison. I would vote DTC-30s in the front and DTC-15 in the rear over blues, they have a far better temperature range. If you plan on running slicks then I would suggest 70/60 or 60/50. Slotted rotors will be better then blanks but not mandatory, stay away from drilled. Cheap vs Expensive rotors may come down to whether or not you are overheating the rotor itself. Thanks for the link and reply farberio! My current tire/wheel setup is 17x9 +22 RPF1's with Bridgestone RE71-R's 245 wide so I definitely wont be needing the full race pad yet. Also If I do go with a good slotted rotor any suggestions? Thanks! I was doing a little searching and cant find anyone selling the DTC 30's or 15's anywhere for the stock calipers. Any links or suggestions where to look? I even checked HAWKS website. Looks like you can only do a 60/30 split, which may be a bit much for now. Next place I would look is the porterfield range. Ignore the friction numbers from pad manufacturing to manufacturer as they are tested internally and not comparable. Its a nice big temp range though. Compared to the DTC-60 they have far less bite so you may be able to get away with the R4 race pad here. Also If I do go with a good slotted rotor any suggestions? Thanks! For this I have none, I have used R1Concepts blanks for all my braking needs no far. For reference my race car is about 190 whp measured on slicks and 2400lbs with me in it and i drive on 245 wide Pirelli slicks. Trash the stock proportioning valve and add a Tilton or equal inside the cockpit. (one click from full forward) Using the stock rotors on a 2680# car with 180HP I run the same compound all the way around. Hawk blue works well, as do Raybestos 45s. My FC makes 400 WHP. I run DTC60 front and DTC30 rear pads. Running DTC60s all around was too much rear brake. I have a Ronin Mandeville front brake kit with the stock calipers. 929 MC with wilwood prop valve, and 929 booster. I run premium blank rotors all around. The DTC 60-30 is a really good setup, it works great on my car. 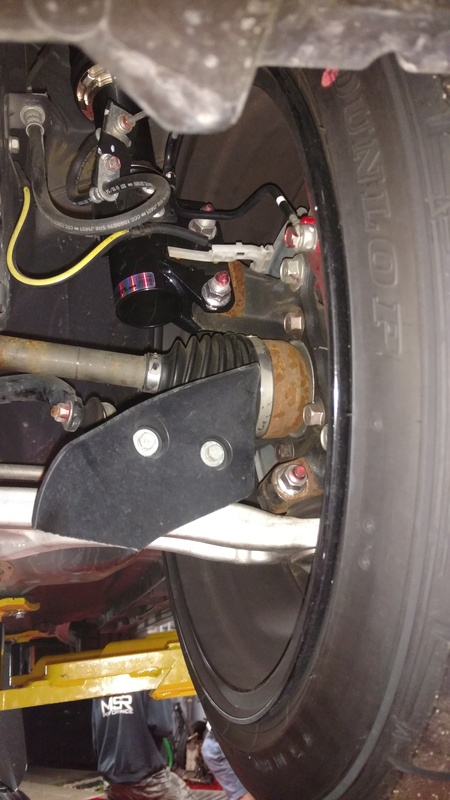 Another important thing to think about if you are driving on track is to get some brake cooling hoses on the front, it makes a huge difference in prolonging rotor life. So i think I'm going to start with some good quality blank rotors but I'm still on the fence between Blues and DTC-60/DTC-30 setup. The only thing that concerns me is I drive it maybe once or twice a week on the street and worry about cold stopping with the DTC setup. Anyone have a opinion or personal experience on this? Thanks again! Oh! and for brake cooling I have limited room up and the front bumper due to FMIC + piping. Anyone ever route a setup through the flash to pass lights on the front bumper? The Mitsubishi Evo X has a pretty interesting factory brake cooling package. Instead of using bumper ducts and snorkels, it has little molded plastic scoops that grab air from under the car. I don't know how well these in particular work, but MotoIQ did a cool brake test using a similar style 3D-printed duct for an S2000. DTC60s can be driven on the street surprisingly well, I would wager better than Blues. In the winter they may need a bit of warm up, but they need less warm up than Hawk HP+ pads to work. FWIW I have no cooling ducts yet but plan on adding them. I do have larger 350z front rotors on the car, and the rotors lasted through 18 track days, and are now starting to heat crack. With stock rotors, cooling ducts will be a necessity. Last edited by LargeOrangeFont; 08-05-16 at 10:41 AM. Porsches have been doing that for awhile on the GT3. Definitely a good option to try. I will be doing something very similar on the rear of my FC. I'm still on the fence between Blues and DTC-60/DTC-30 setup. the blues do not work on the street. in fact they don't work on the track either. the DTC's make the blues look like rocks. I've switched over to Cobalts. I'll never go back if i can help it. So much more progressive and controllable than anything HAWK makes. I run XR2s in single pot front calipers and XR3s in the rear. 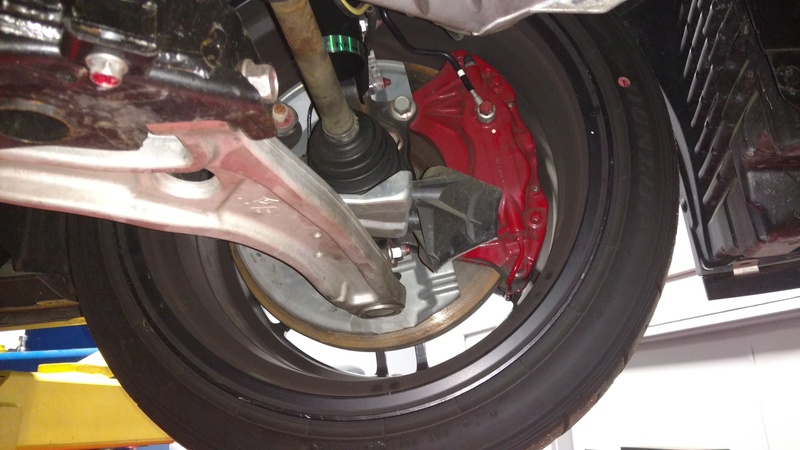 Do you have to machine out the bores of the 350Z rotors for the Mandeville kit? Yes or machine the hubs to fit the rotors. Or use supernow hubs. They are considerably smaller outer diameter. I misunderstood. i thought we were talking about the inside of the hat. FWIW, I have no problems stopping when driving around the paddock when neither the tires nor the pads are up to temp on DTC-60s. I'm running DTC-30s on mine with a Wilwood floor mount pedal box, 7/8 front master and 5/8 rear master. Bias is set at the pedals and I don't recall exactly where it's set. I have had good luck with Centric blanks. Even their CTEK economy rotors have held up well. The Premium rotors they offer are better, and their "high carbon" series 125 blanks are great. widest tires in front & rear?